Using herbs and spices in the form of rubs, blends and mixes is a way of cooking that can boost flavor and improve the presentation of a dish without adding too much sodium. 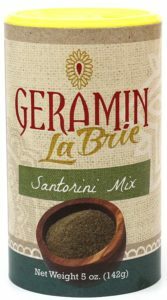 There are no preservatives or artificial flavors in all of Geramin La Brie products. Perfect to use in steaks, roasts, turkey, chicken and hamburgers. • Garlic: Contains antioxidants that perform all kinds of amazing feats in the body like keeping cells and bones in the body from oxidizing or from slowing the process of ageing. • Coriander: Lowers cholesterol levels, helps lower blood sugar, aids eye health. 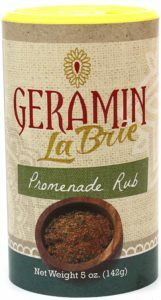 Perfect to use in pasta, paella, risotto, and salad dressings. • Oregano: Has properties as an antiviral, antibacterial, anti fungal and is anti parasitic. Used for treating bacterial infections on the skin or in wounds, and also often employed to protect food from bacteria. • Rosemary: Ability to boost memory, improve mood, reduce inflammation, relieve pain, protect the immune system, stimulate circulation, detoxify the body, protect the body from bacterial infections, prevent premature aging, and heal skin conditions. Using herbs and spices in the form of rubs, blends and mixes is a way of cooking that can boost flavor and improve the presentation of a dish without adding too much sodium. 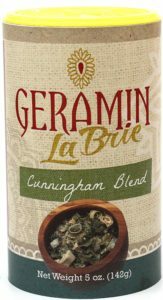 There are no preservatives or artificial flavors in all of Geramin La Brie products. 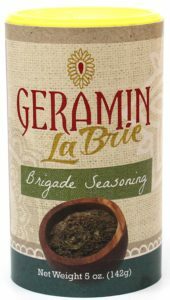 Perfect to use in seafood, salads, and rice pilaf. • Parsley: Helps prevent skin cancer. Parsley contains high amounts of chlorophyll which have been shown to be effective at blocking the carcinogenic effects of heterocyclic amines, which are generated when grilling foods at a high temperature. • Green Onion: Benefits your eyes because they contain carotenoids, including vitamin A, lutein and zeaxanthin. Vitamin A plays a primal role in healthy vision, and failing to get enough of it in your diet negatively affect your eyesight and makes it difficult to see at night. Lutein and zeaxanthin work together to keep your eyes healthy. 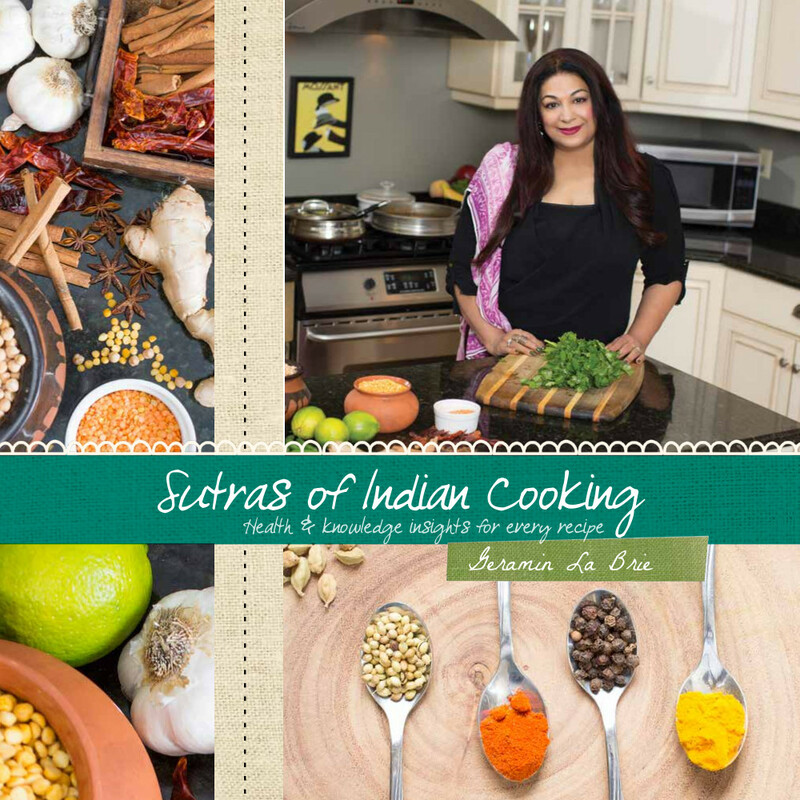 Perfect to use in Indian curries, stews, BBQ s, kebabs, ground beef and burgers. Garam masala is compared to salt in Indian cooking because it’s an essential element to any traditional Indian dish. 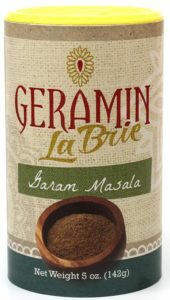 However, Garam Masala today is added by most gourmet chefs when preparing roasts, gravies and stews. Ayurveda nutritionists believe that Garam Masala contains all 6 tastes for a perfectly balanced dish. Other health benefits Garam Masala can offer include boosting immunity, promoting weight loss, helping with digestive processes, alleviating pain and lowering blood sugar levels. Perfect to use in stews, various meats, gravies and soups. • Basil: Antioxidant rich, anti-inflammatory properties, reduces risk of cancer, contains antibacterial and antimicrobial properties that fight viruses and infection. Promotes cardiovascular health and can aid in reducing stress. • Paprika: Capsaicin is the active ingredient in paprika that causes the heat. Capsaicin can relax blood vessels which in turn, lowers blood pressure. It is sometimes used in topical creams to relieve pain.